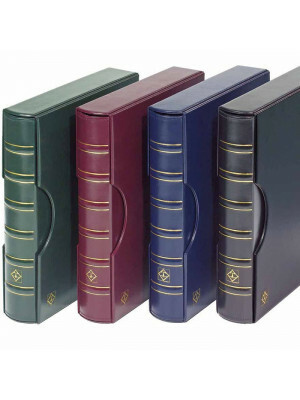 This Lighthouse GRANDE binder Classic and slipcase are bound in a red colored and textured leatherette. 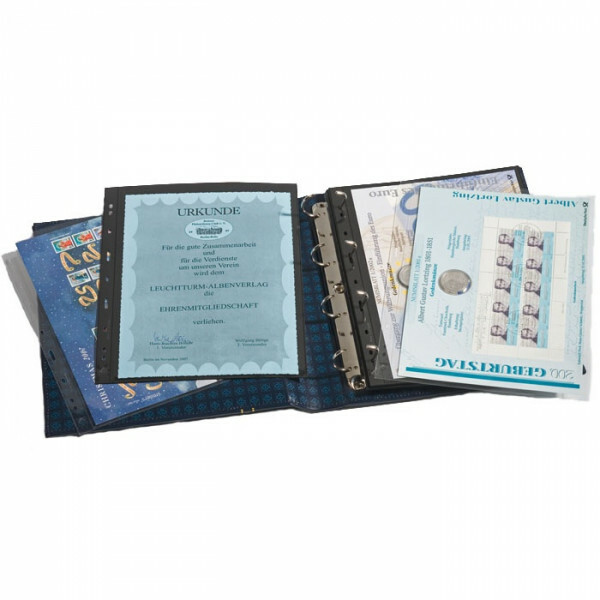 Each binder is recommended to hold 60 sheets (sold separately) depending on contents. 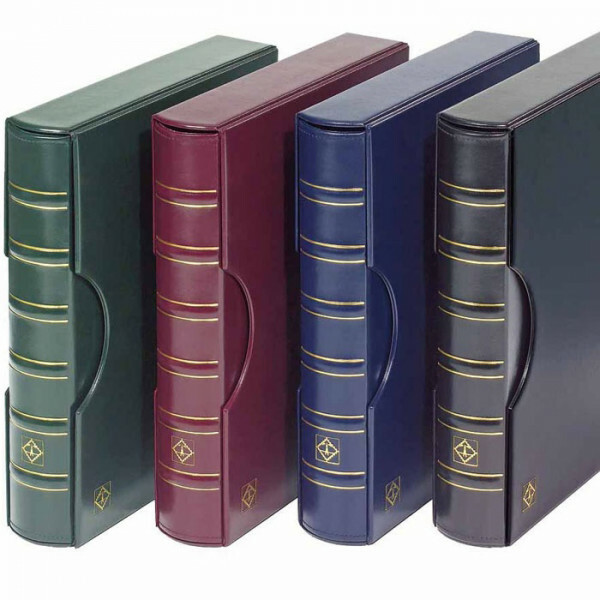 This binder is fitted with 4D-rings with locking mechanism. 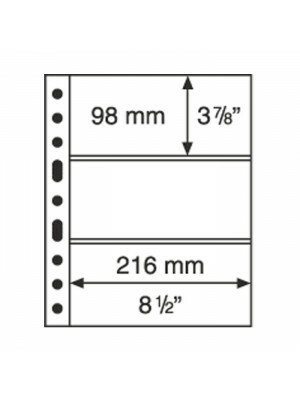 The overall measurements of this binder are 290 x 325mm, measurements of the slipcase are 293 x 335 x 70 mm. 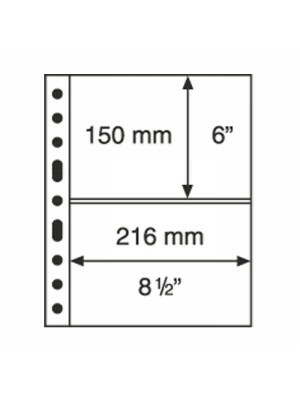 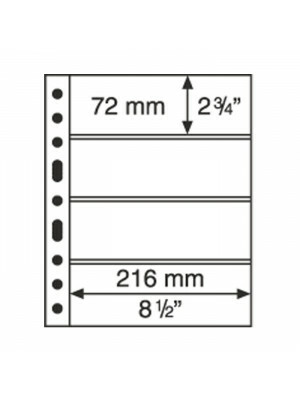 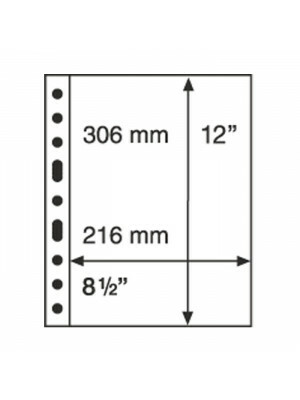 Punched pockets from the VARIO system can also be inserted in addition to the GRANDE pockets, as well as all standard punched pockets A4 size.